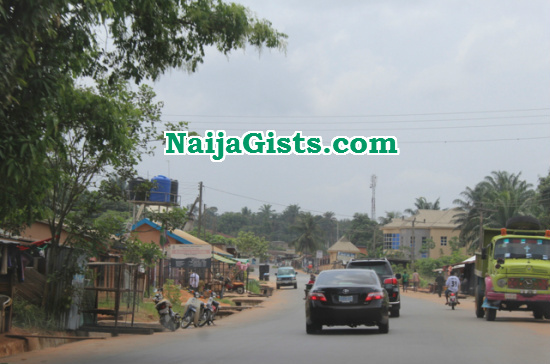 Over the weekend, residents of Okpuno Otolo in Nnewi North Local Government Area of Anambra State were thrown into confusion when an eighteen-year-old boy, a student, whose name was given as Chinaza was allegedly stabbed to death in a fight over a girl. The source said the deceased had met at a joint with the suspect whose name was not disclosed at the time of filing this report where argument ensued regarding the suspect’s alleged meddling into a discussion involving the victim’s relation, a girl. The suspect was said to have been cautioned by the victim to steer clear of the discussion, according to our source, and the caution led to an argument that led to a fight. Witness said the two were separated in the fight but later resumed after a while when the suspect grabbed a bottle and stabbed the victim leading to his death at a hospital where he was rushed to. The suspect was said to have made for an escape before he was arrested by the vigilance group who handed him over to the police. Contacted, the Police Public Relations Officer, Anambra State Police Command, Awka, Mr Ali Okechukwu said the report had not been recorded in his office. It is outright stupidity for you to be killed over a girl who is not your wife,in a matter of days she will have another boyfriend.